This is my conversation regarding a damper problem that one of our Ask the Chimney Sweep readers had. Lock-Top II incorporates rain cap, bird-screen and spark arrester all-in-one. Plus it saves energy. But, how does this work when I’m in a condo and the top of the fireplace has a raised protective cover that covers 2 holes (one from my condo’s chimney and one from the condo above me)? A.) I would want to discover why that damper is stuck. Is it because it is out of round, warped metal or just rusted closed? This is the Lock-Top II top-sealing damper in a closed position saving you lots of energy dollars. To start your hunt, grab a flashlight and begin to look for a riveted, small metal tag to the fireplace metal framing. It is hiding there somewhere; this tag will provide you with the needed information of who the manufacturer is, the model number and serial number. Then go online and start gathering your information. While pour hunting for this damper replacement, look for that manufacturer’s UL “glass-doors”, if they manufacture them. My experience is that many prefab glass doors will work as well as a damper, in controlling air movement of the fireplace. May I caution you put just any set of doors on your fireplace, as many glass doors are not tested for your unit and may end up blocking air vent that is required to cool the fireplace off. I caution you on installing any type of top sealing damper on your condo chimney top, as it most likely is not UL listed for your fireplace. Also, let’s not forget that you have that unique situation where I believe someone has installed “sides” on the top, not designed or provided by the manufacturer. In the past, I have dealt with draft and smoking problems with some aftermarket installs (shroud metal side covers) that were not designed and UL tested for that fireplace manufacturer. These are my own insights. Your answer confusing me but I realize that maybe you are talking about a prefab fireplace. My condo building (over 30 years old) is brick, the fireplace both inside and outside is also brick and when I had someone clean it they said it was a masonry fireplace, So, does this change your answer? Millions and millions of these types of throat dampers were installed in the 60s, 70s, and 80s. I apologize and yes I’m jumping to conclusions thinking that you were referencing a prefabricated fireplace. Please allow me to re-edit my reply. Discover why that damper is sticking. Is it a warping metal blade or just rusting closed? Then I would be checking to see if there is a replacement damper blade available from the manufacturer. To start your hunt, grab a camera, flashlight, and tape-measure, and get into the firebox (after it cools and the wood ashes dissipate, that is, assuming that is wood burning in hopes of discovering the manufacturer or your damper. Often the manufacturer’s name is on the damper frame (i.e. Vestal, Majestic or Donnelly). It is my experience that, all of these manufacturers’ are very popular and are still available at your local brickyard. On a personal note I have purchased many dampers and just used the valve blade and handle and threw the frame away. If this were mine have a top-sealing damper. If this was my property, using a *Lock-Top II damper. 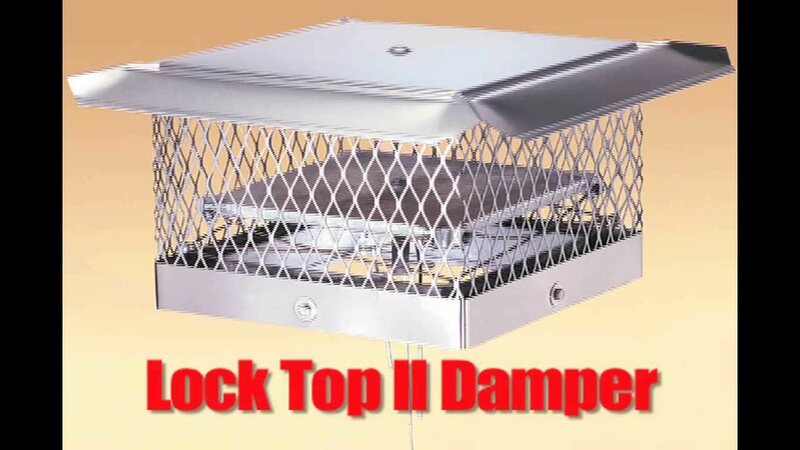 I personally use this damper because it offers a rain cap, spark arrestor, animal screen and damper all in one. 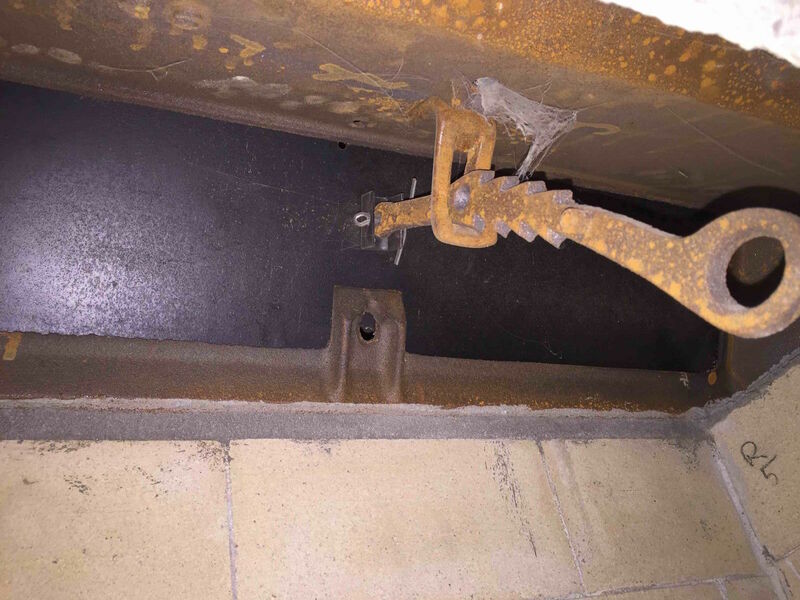 Another benefit of using a top-sealing damper as it actually has a payback (ROI), saving you energy dollars. Installing a top sealing damper actually allows for the preheating of the entire chimney flue stem with warm house air, often making it much easier to start a (wood) burning fire, while at the same time sealing the cold air out, while your fireplace is not in use. Remember, it also prevents hot air moving through the chimney during the summer–time AC usage. Regarding your statement “the top of the fireplace has a raised protective cover that covers 2 holes (one from my condo’s chimney and one from the condo above me)?” I recommend speaking to your chimney contractor about that issue. For more information on top-sealing dampers, check our YouTube video from our Ask the Chimney Sweep channel! Make sure that if you buy these dampers, you make sure it is the right size! I have a 4 floor apartment with fireplaces on all floors. Each fireplace has a separate chimney duct but all 4 run side by side and end together on the roof.. 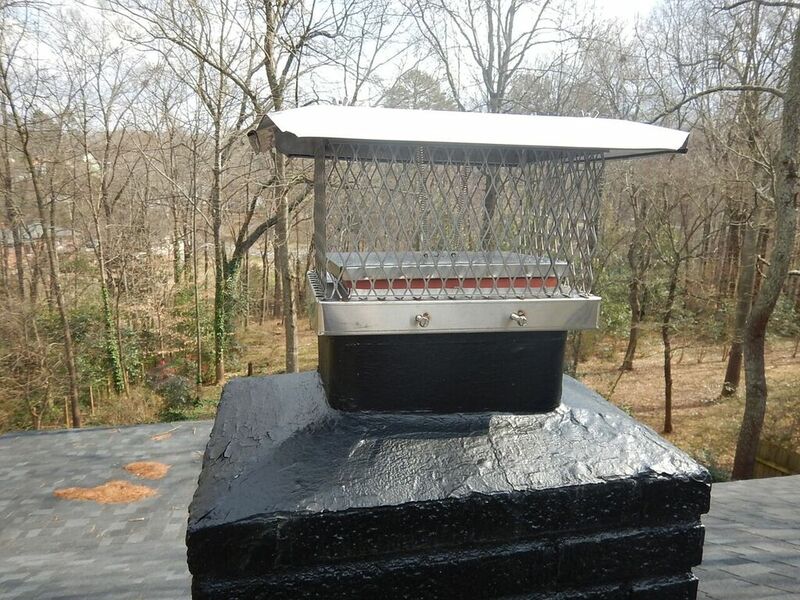 There is one large metal weather cover on top for all four fireplaces. Sometimes the smoke goes from one floor to another when only one fireplace is working. Since there all together at the top I was hoping that if I put a divider between each top opening to separate them up until the top of the hod cover it will prevent the downdraft from one to the other. We’re going to refer to this as thermosiphoning. This is where the air is moving up the chimney and due to other negative pressures in the building it is moving back the down the flues, (I will refer to this as chimney flues instead of ducts so we’re on the same page). 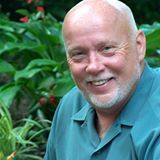 Often these issues are due to air and balance issues and can be resolved by one of many ways; there is not the single answer! It could be raising flues to random heights by 6″ to 8″ inches and putting individual caps on or it could be doing what you suggested (which I think is a good idea) of putting dividers in there. This is where I would start. MOre info: Negative pressures in the house or air and balance could be caused by large catheral ceilings, very large stairwells, powerful fans in kitchens and baths, I have even seen it where the speed on the furnance blower is set high to move the heavier cold air and it definitely can affect the air movement within the house being pulled into the cold air returns. 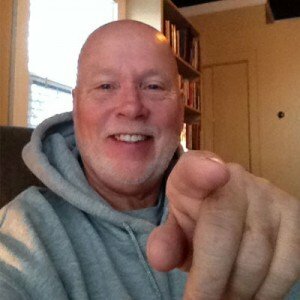 I hope this little brainstorming with you helps! Wish you the best in tackling this issue. Its often trial and error!